ON OR AROUND MARCH 10th EACH YEAR. IF IT'S NOT YET AVAILABLE, PLEASE CHECK BACK. 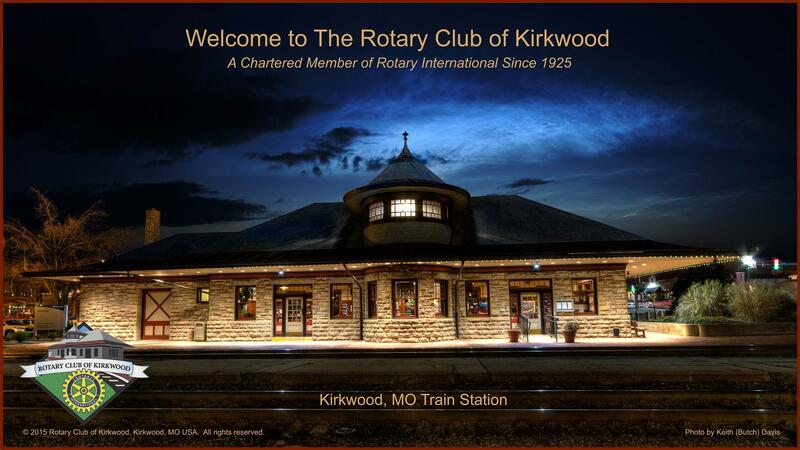 Kirkwood Rotary annually awards scholarships to local youths and will have awarded over $300,000 to area youths from 2000 through this year. The various scholarships are listed below. One scholarship for $2,000 awarded to a Kirkwood R-7 School District high school student on the basis of academic, financial need, awards, accomplishments and community service who is pursuing an associate's or bachelor's degree. One scholarship for $1,500 awarded to a Kirkwood R-7 School District high school student on the basis of academic, financial need, awards, accomplishments and community service who is pursuing an associate's or bachelor's degree. One scholarship for $2,500 awarded to a Kirkwood R-7 School District high school student or St. Louis Community College at Meramec on the basis of academic, financial need, awards, accomplishments and community service who is pursuing an associate's or bachelor's degree. One scholarship for $4,000 awarded to a Kirkwood R-7 School District high school student on the basis of academic, financial need, awards, accomplishments and community service who is pursuing an associate's or bachelor's degree or a technical/trade program.